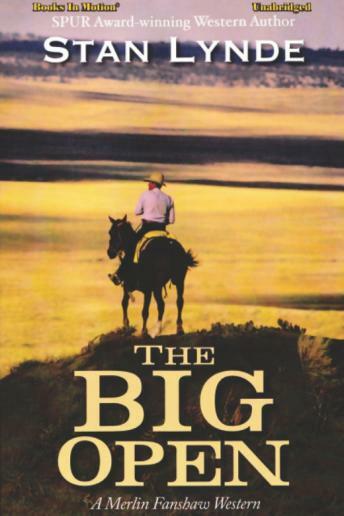 When U.S. Deputy Marshal Merlin Fanshaw mistakenly kills an innocent boy during a bank robbery in Miles City, Montana, he abandons his career as a lawman and rides out into a vast and sparsely settled region known as The Big Open. Hired as a cowhand by ranch woman Billie Hart, Merlin is soon drawn into a deepening conflict between Billie and a ruthless cattleman who will stop at nothing to possess her ranch. When violence threatens, Merlin takes a stand, and exorcises the ghosts of his past.